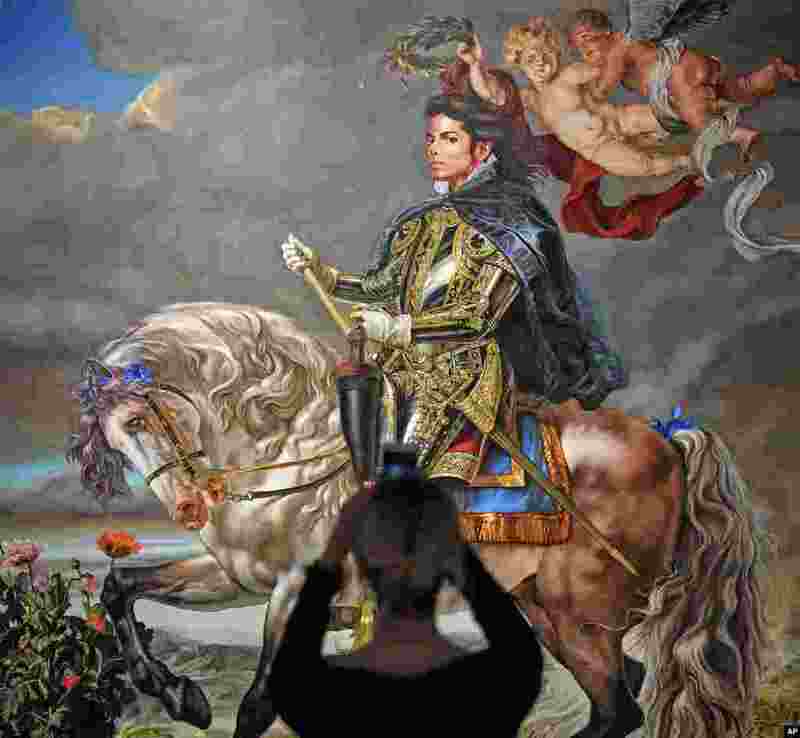 1 A visitor takes a smartphone picture of the painting 'Equestrian portrait of King Philipp II (Michael Jackson)' from US artist Kehinde Wiley at a preview of the exhibition 'Michael Jackson: On The Wall' at the Bundeskunsthalle museum in Bonn, Germany. 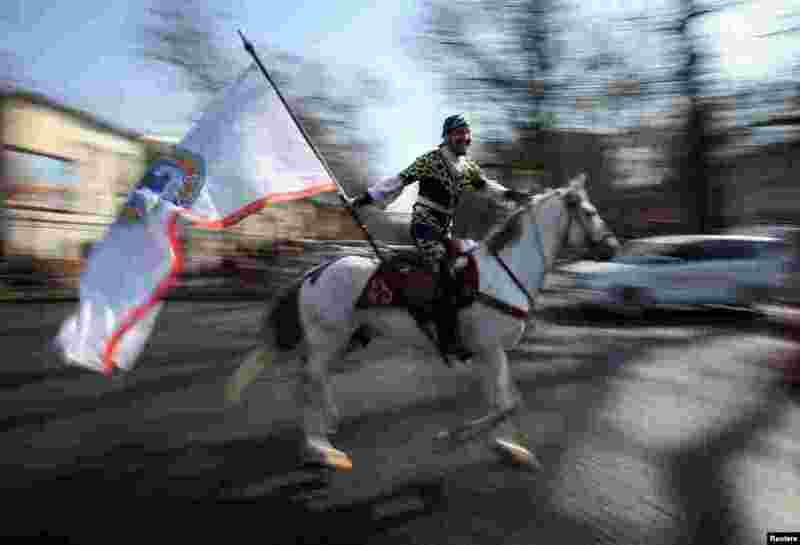 2 A reveler rides a horse as he holds a city flag during a parade as part of Newroz celebrations, an ancient holiday marking the spring equinox, in Almaty, Kazakhstan. 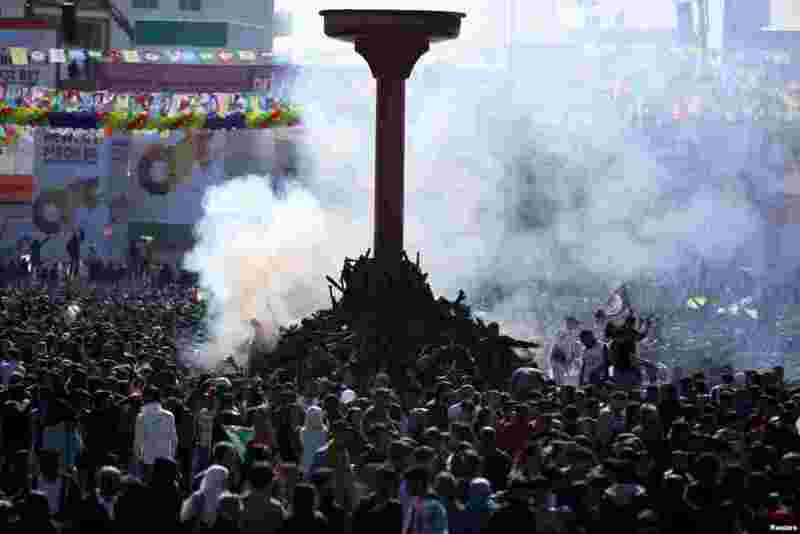 3 People gather to celebrate Newroz, marking the arrival of spring and the new year, in Diyarbakir, Turkey. 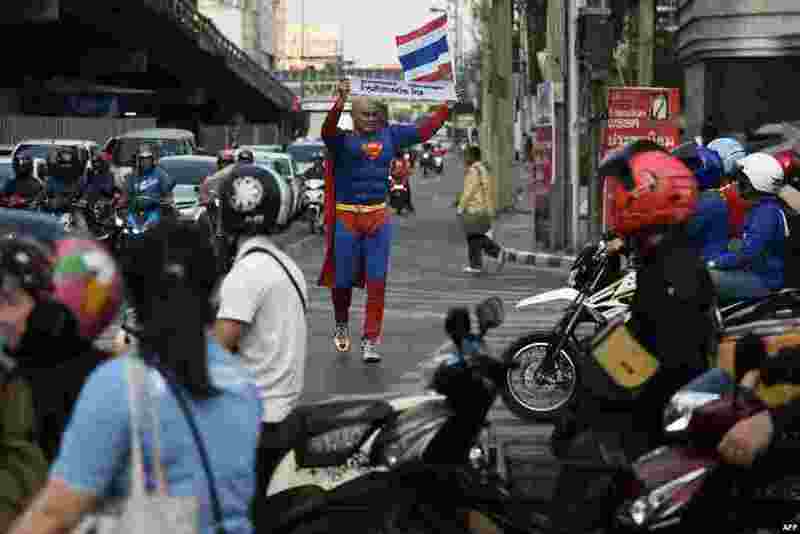 4 Thai-German national David Pfizenmaier walks through a traffic intersection holding a sign encouraging Thais to vote in the upcoming election in Bangkok, Thailand. 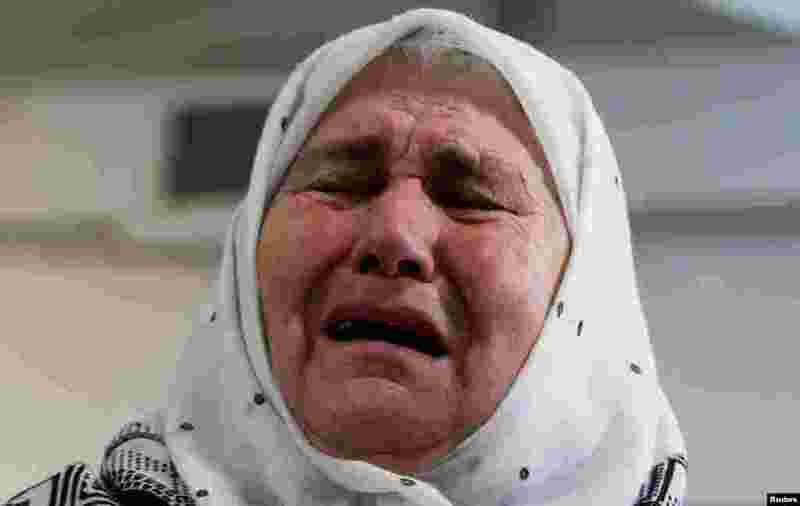 5 A woman reacts after the verdict on former Bosnian Serb political leader Radovan Karadzic's appeal of his 40-year sentence for war crimes, in the Memorial center Potocari, near Srebrenica, Bosnia and Herzegovina, March 20, 2019. 6 Russia's Evgenia Tarasova and Vladimir Morozov are seen in action during the Pairs Free Skating at the ISU World Figure Skating Championships, Saitama Super Arena, Saitama, Japan. 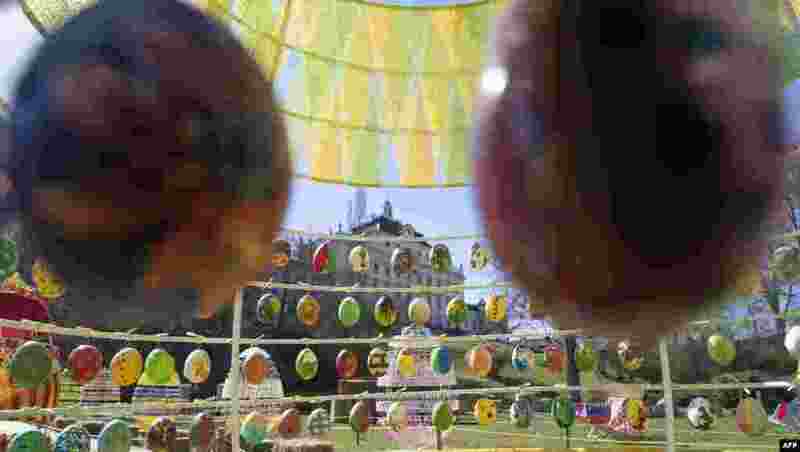 7 Colorful hand-painted eggs arranged within larger egg-shaped structures are on display in the park of the Baroque Castle as part of the Easter decorations in Ludwigsburg, southern Germany. 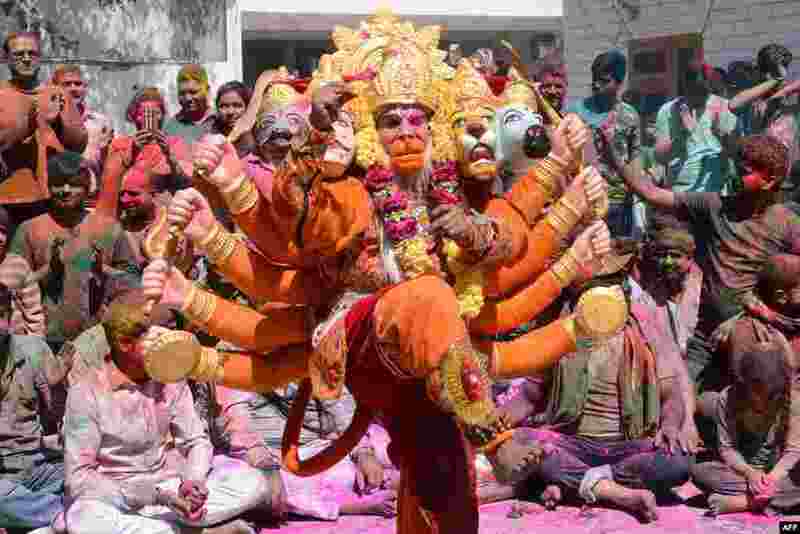 8 An Indian artist dressed as Lord Hanuman performs traditional folk dance during Holi festival celebrations at a temple in Amritsar. 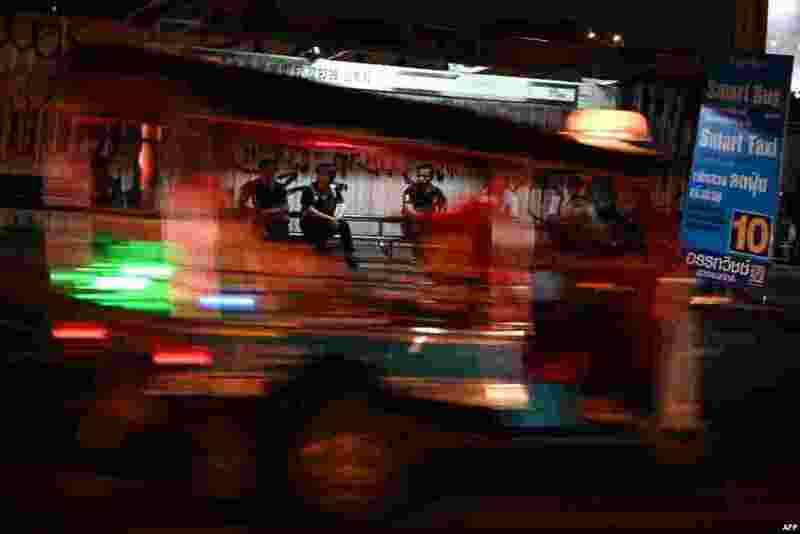 9 A tuktuk drives past people waiting for buses at a bus stop in Bangkok, Thailand. 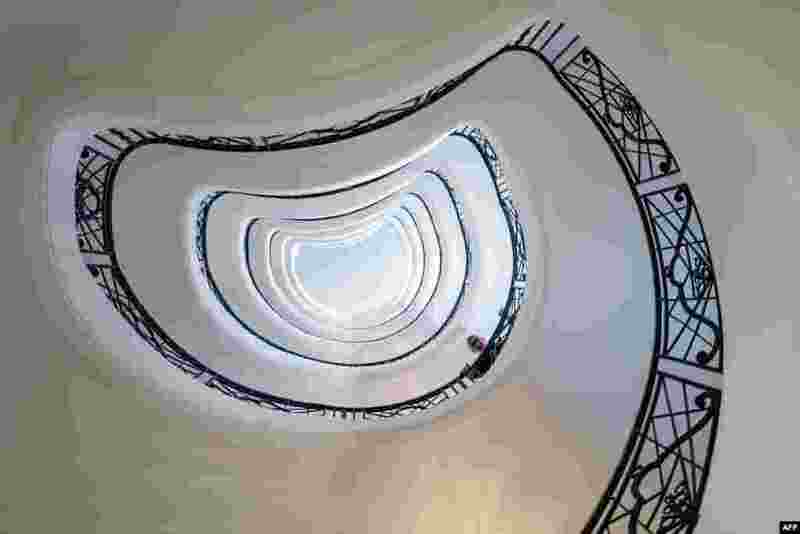 10 Louis, a concierge of the Hotel Martinez, poses in the spiral staircase of the palace, on the riviera city of Cannes, southern France, March 20, 2019. 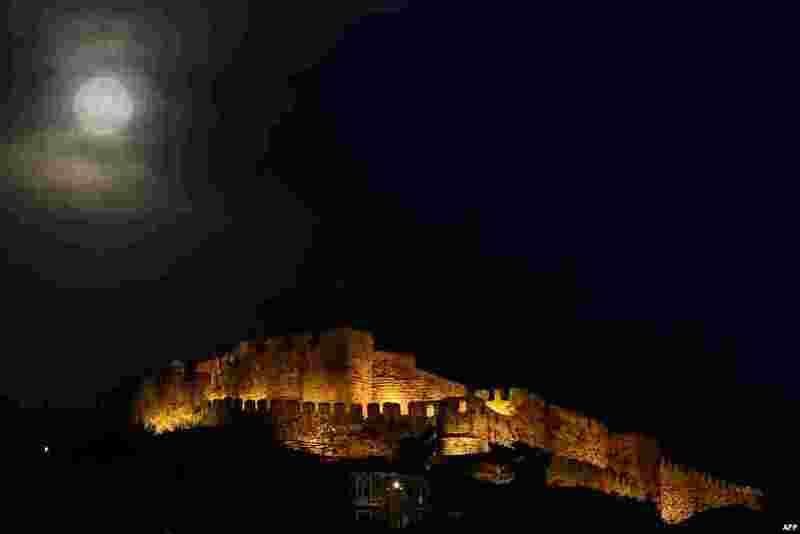 11 A full moon rises next to the ancient castle of Mithymna Molyvos on the Greek island of Lesbos on March 20, 2019.